Home News Hidden Leaf DC Expands to NYC! Positively jubilant news, my pernicious pack of phantasmic piranha! Hidden Leaf DC has expanded and is now available in NYC! Whether you’re roaming the Nation’s Capital or the Big Apple, the jonin of the Hidden Leaf are holding you down with high quality buds like the classic Skywalker OG flowers above. Also available in DC today are Purple Punch and Wedding Cake, while New York enjoys Platinum Cookies flowers. You can schedule your appointment with Hidden Leaf via either their city’s form, both of which are conveniently available from their website right here. 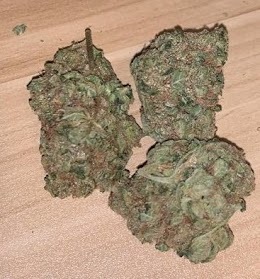 DC, Delivery, Flowers, Hidden Leaf DC, Maryland, Now Available, NYC, Recreational. Bookmark.